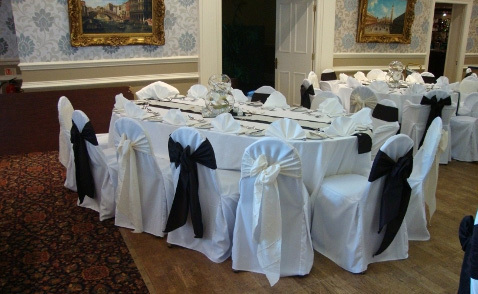 Surrounded by landscaped gardens and beautiful countryside, the Wrightington Hotel & Country Club is the perfect venue for your special day. 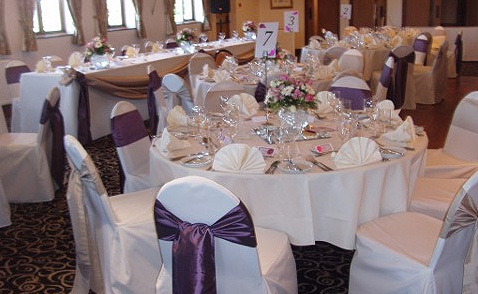 Wrightington Hotel and Country Club is located just seconds away from Junction 27 of the M6 motorway. 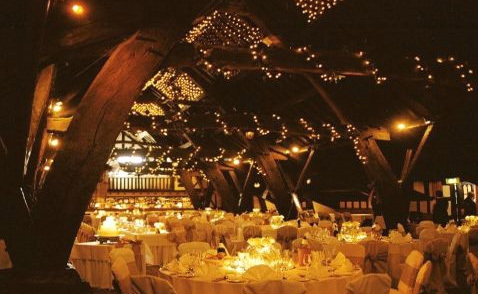 This first floor restaurant is a spacious and elegant room, sumptuously decorated to the highest standard. 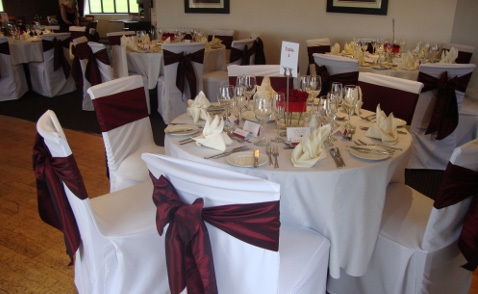 The room is rich in décor and has plenty of natural daylight with windows overlooking the golf course on both sides. 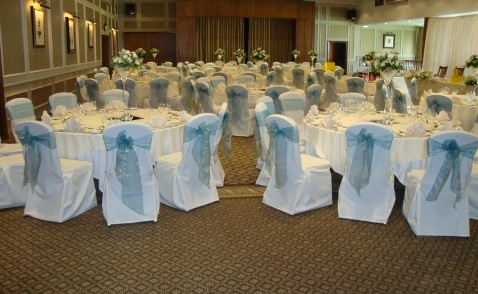 It also has a balcony with tables and seating offering magnificent views over the Lancashire Plain and Welsh Hills. 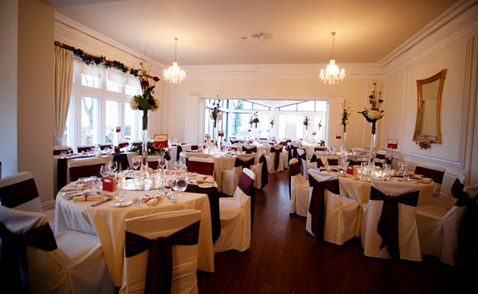 There is a separate lounge with bar for those wishing to take a break from the wedding celebrations. 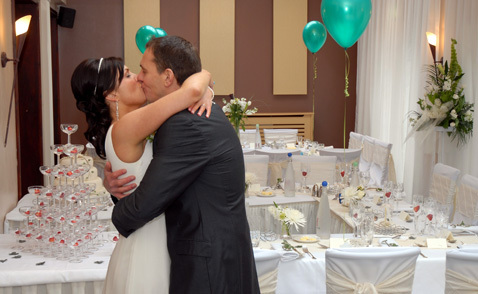 The restaurant has a dance floor and an excellent PA system that is available for those all important wedding speeches. 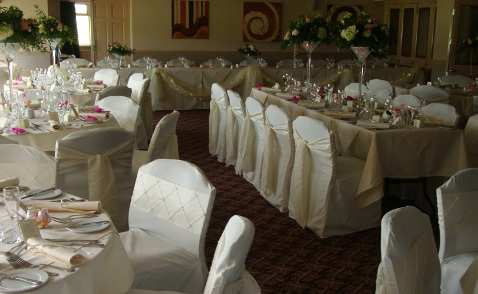 The Fairways Restaurant can accommodate from 50 to 130 guests for your wedding breakfast and from 120 to 200 for your evening reception. 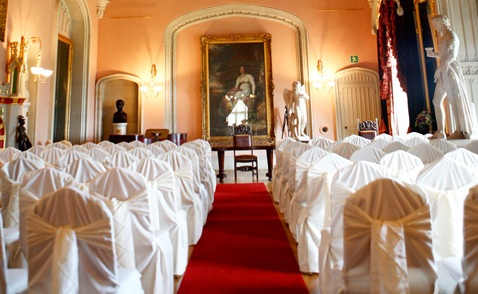 On Saturdays minimum numbers of 50 adults during the day and 150 at night apply and are based on a three course wedding breakfast and evening buffet. We can however accommodate 50 adults or more for an afternoon meal only, provided the room is vacated by 6 p.m., weekdays and Saturdays. Access to the first floor restaurant and lounge is avaliable by a chairlift if required. Our comprehensive Bridal Car & Executive Car Hire Service is designed to take the worry out of this important part of your Wedding day arrangements. We provide a service of courtesy, distinction and promptness with uniformed, professional and helpful chauffeurs at very reasonable prices. Pier Fun Casinos are one of the UK's best casino operators. We will help your guests sample the ultimate thrill of the Las Vegas Casino experience. Our games include Roulette, Blackjack, Stud Poker, Poker, Texas Holdem, American Craps and Wheel of Fortune. 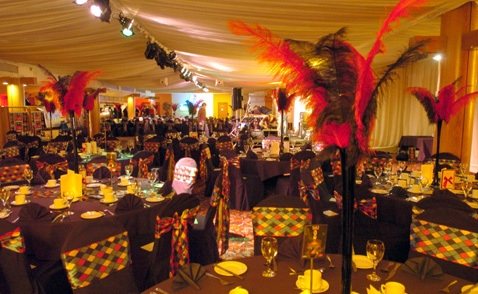 Whether it be a company event, wedding reception, Christmas party, fundraiser for a charity or a private party, we tailor our mobile casinos to meet your individual requirements. Venus is a full service quality Beauty Salon with exclusivity for the South Lancashire area for Darphin Treatments, part of Estee Lauder and follows their all natural approach of customised skincare. 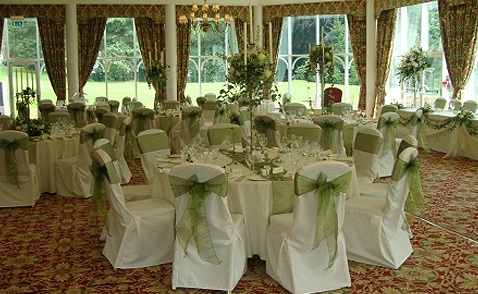 Our aim at Wild Flowers is to provide inspirational floral designs for every occasion. We delight in creating innovative floral arrangements using quality materials and new design trends. We like to stock seasonal flowers as well as our basics of quality Lilies and Roses. So be it Amaryllis and Hellebores in Winter, Hyacinths and Muscari in Spring, Sweet peas and Peonies in Summer or Gladioli or fruits and berries in Autumn, if we like it, we buy it and want you to share and enjoy it. Whether you are looking for a redesign of your existing website or just starting out, we can help! With a wealth of experience in the Internet and Multi Media Industry, we can offer your business professional advice on both the development and design of your online presence as well as ongoing support and marketing. Based in the heart of the country in Leeds, West Yorkshire, we are ideally based with easy access to the motorway network to offer bespoke solutions to businesses throughout the North of England.